In the current context the word “farmer” refers to someone who has to fight the vagaries of nature and the constant pressure of repaying the loan with the constant fear of crop loss and damage in addition to negligible revenue. VIEWS has tried to lend a helping hand to the farmer to minimise uncertainty and mental trauma and to maximize revenue by use of innovative ways of farming and by providing support resources offered by the government. With the focus on Soil Technology, Horticulture, Self-sustainable and Need-based farming and Organic Farming, VIEWS aspires to revive the current agriculture sector in this part of the state. We also target to improve the land fertility and improving farm conditions o that it ultimately leads to increase in revenue generation for land owners, farmers and farm labourers. Organic produce has become increasingly popular in recent years, as consumers have grown more health conscious and environmentally aware. Many stores and supermarkets now have large sections devoted to organic fruits and vegetables. Exploring the potential roles and opportunities for smallholder farmers in our area, we roped in government officials from the agriculture department to conduct trainings on organic farming and sustainable agriculture practices. The participants are now well aware of the importance of the nutritional garden and most of them have already started using green manure for their crops. The exposure visit for the farmers to the Regional Agriculture festival at Berhampur was a great success. Many young farmers were reassured to get involved in agriculture and were convinced that using the right seeds and technology can help them reap rich benefits from their field. The current generation of farmers are already losing interest in agriculture as they consider it less profitable. The major reason has been the increasing expenses on chemical fertilizer, pesticides and labor charges. The exposure helped them understand the different Government schemes and programs related to agriculture. They were also convinced about the use of new technology for sustainable agriculture like SRI, multi-crop systems and vermin compost. Successful farmers in the village were selected as Community Resource Providers by the community and were given residential training on sustainable agricultural practices with the technical resource support from the agricultural department. The CRPs are now providing hand holding support to the farmers at the field and reaching out to most of the locals in their respective areas. 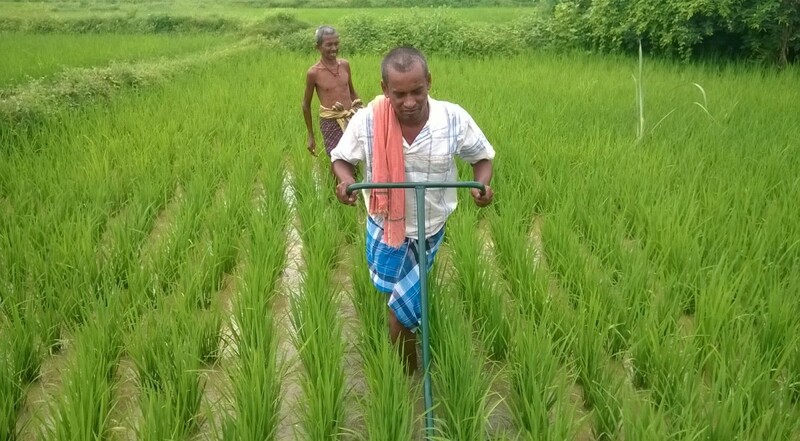 Dileshwar Rao Reddy from Vikrampur , “It is the first time we learnt how to prepare organic manure. I not only prepared my own manure but also helped other farmers to prepare handi khata”.